In Europe motor homes are extremely popular and in Oz grey nomads are a common sight on the road. 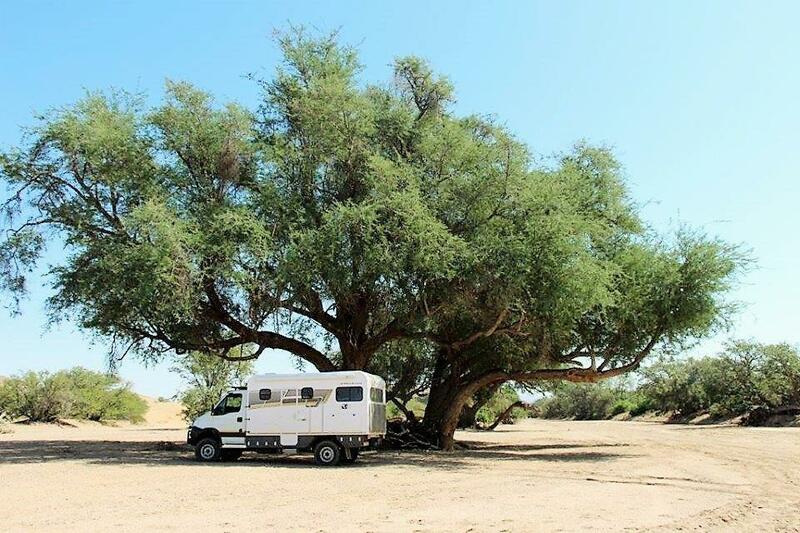 In Africa big overland trucks are mostly used by tour operators for group travel and for solo travellers 4WD vehicles (pick-ups with custom-built canopies, Land Cruisers or Land Rovers) with or without off-road trailers are most common. 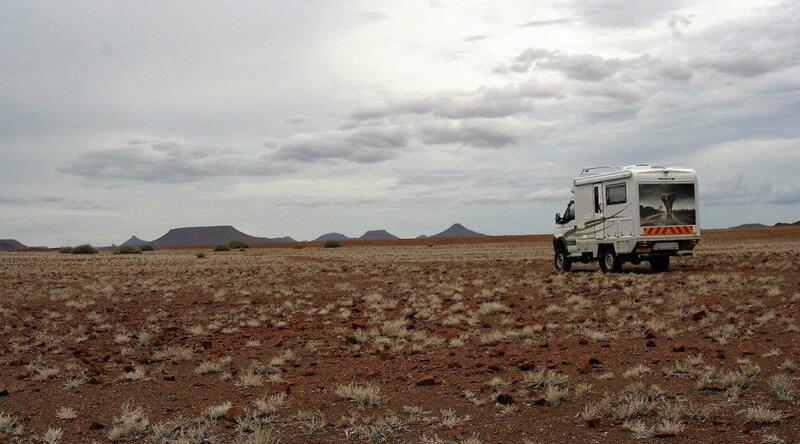 However, it appears that the motor home is slowly but surely also becoming a popular African overlanding vehicle. Two of my friends recently exchanged their 4WD vehicles for 4×4 motorhomes. Fanie and Ilva Rossouw from Windhoek bought an Iveco Daily 4×4 which is quite a bit bigger and more spacious than the Toyota Hilux 4×4 Motorhome of Rusty and Elizabeth du Preez from Somerset West. However, both couples are extremely happy with their new home-on-wheels. 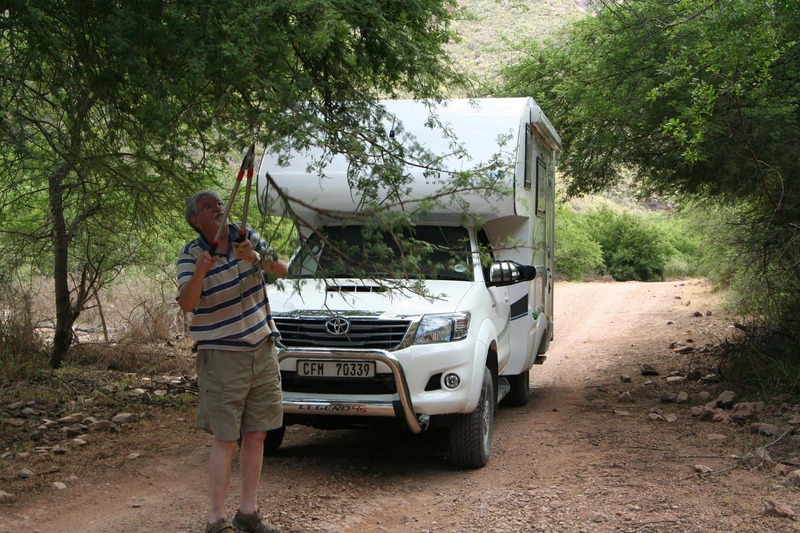 Fanie Rossouw decided to replace his Toyota Land Cruiser with which he overlanded from Windhoek to Ethiopia and back, with a motor home as they felt they wanted the luxury that comes with a motorhome: your bed is always ready and you have your own shower and toilet on board. According to Fanie the track width of the Iveco (built by Travelstar) is the same as that of a Volkswagen Amarok and only few mm wider than a Land Cruiser, therefore this is not a problem. “The seats have air cushions which are extremely comfortable, especially on gravel roads. The Iveco has 24 gears, four reverse gears and three diff locks. It is big and powerful, but it fits nicely in between the Land Cruiser and Unimog range,” he says. 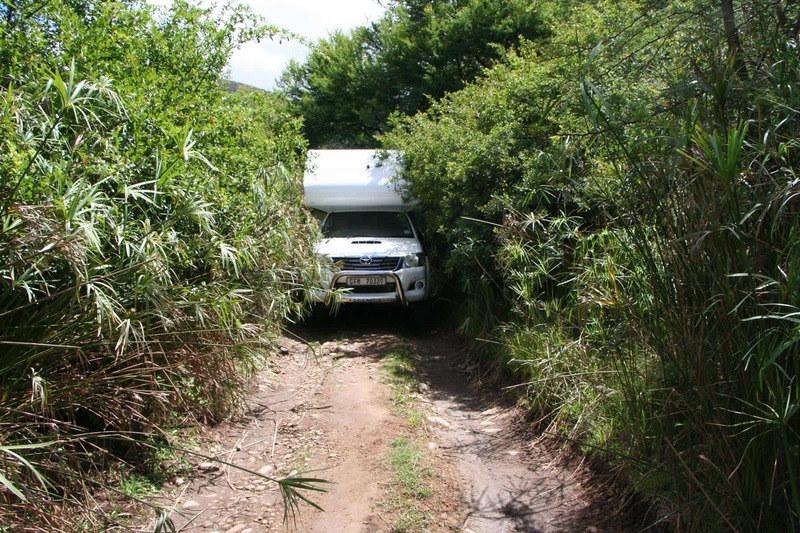 Rusty sold their caravan and purchased a Toyota Hilux 4×4 and had a motorhome installed by Vista Motorhomes. Formerly they enjoyed the comfort of their caravan but could not tow it off the beaten track and also did not want to tow an off-road trailer in the deep sand of Namibia. This vehicle is much smaller than the Iveco, but the Du Preez’ feel that it is spacious enough for the two of them. They also have their own shower and toilet on board and, according to Elizabeth, there is even enough room for their Irish Terrier who loves travelling with them! Every choice in life has pros and cons. The motorhome has many advantages, of which comfort and convenience are the most important, but it also has disadvantages. One being you take your camp with you every time you move therefore it’s more difficult to reserve your nice site when you go for a game drive. Also, the body is higher than normal, therefore you have to be very cautious of overhanging branches. Also being wider than most, your shiny new vehicle is likely to get scratch marks on it quickly from narrow bush tracks. With a larger vehicle you always have to carry branch clippers and a saw with you and it may not always fit under shade trees because of its height. The bigger trucks (7 to 10 ton), like the Iveco, MAN and Mercedes Benz are more spacious and can take more weight, but in certain parks in Africa you are going to be penalised for that by paying much higher vehicle fees. Also, your fuel consumption will be higher and you can have a problem following tracks. 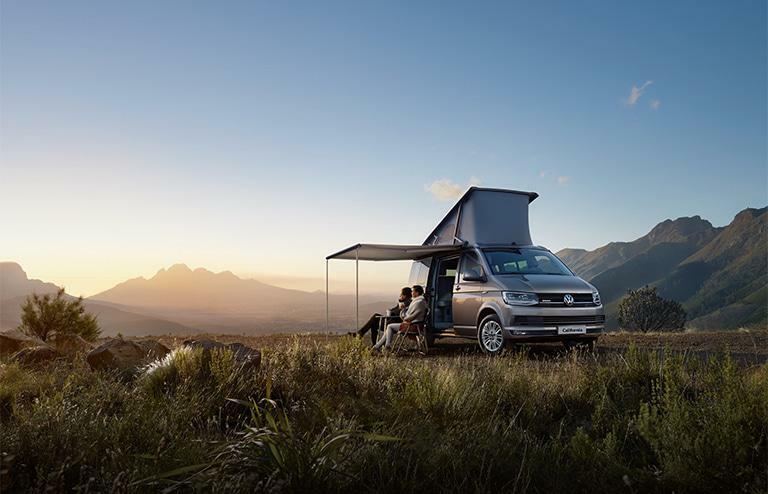 Another option to consider is the newly launched (in South Africa) Volkswagen California Campervan. Many people will have nostalgic memories of the old Volkswagen Kombi which was often converted into a campervan. The California is reminiscent of the Kombi of the 1970s. 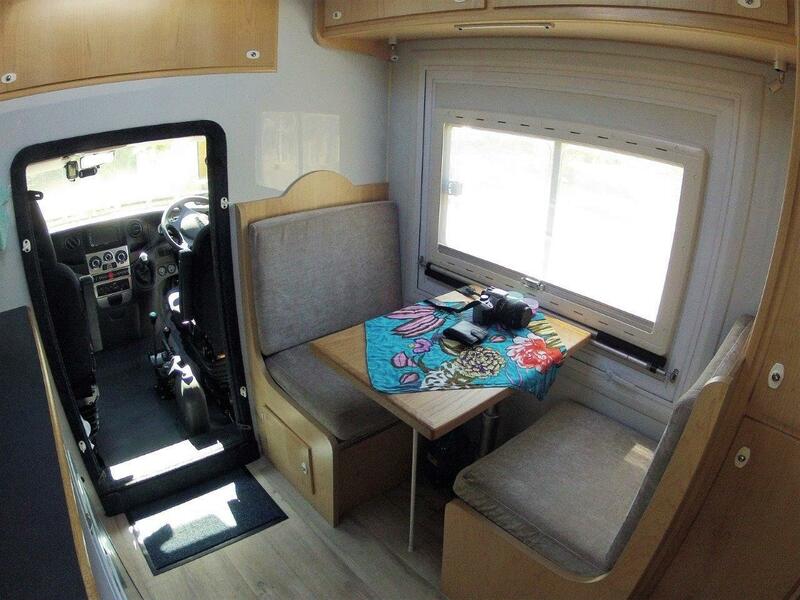 Although this is not a full-blown motorhome or 4WD, it has many features that make it very competitive in this market. It has two beds (the one is a pop-up rooftop and the other is a bed extension with a sleeping mat), side awning, camping table for inside and outside use, two folding chairs, swiveling front seats and built-in blinds for the windows. It is fitted with a dual battery system, heavy-duty suspension and shock absorption, electronic differential lock and traction control system, mechanical rear differential lock, hill start and descent control and an ABS braking system. The one big advantage of the VW is its versatility. 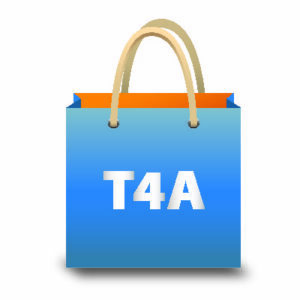 It is not permanently configured as a campervan therefore you can also use it daily to carry passengers or loads. Engine: 2 litre TDi. Price: ±R802 000 (basic). Engine: Toyota Hilux 3 litre TDi. Price: ±950 000 fully kitted). Engine: Iveco 3 litre diesel. Price: ±R1,5m (fully kitted).